Botox is the toxin derived from the bacteria which causes botulism, which has been highly purified and prepared in a sterile formulation. This formulation is used to paralyze selected muscles in a controlled way for aesthetic benefits. The use of this technique has become very popular and Dr. Green has had excellent results with this technique. The most popular areas that are treated with Botox are the medial brow areas (11’s) as well as the “crow’s feet” areas. By paralyzing the muscle underneath the wrinkles in these areas, a smoothing of these areas is achieved. Unfortunately the results are temporary because the effect wears off after three to four months. With repeated injections the effect lasts longer, but if a permanent result is desired, a surgical technique is preferred, and in the long-run may also be more cost effective. It is sometimes a good idea to try Botox to see if a permanent removal of the muscle is something that you would like. 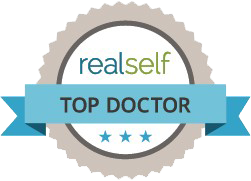 It is a simple nonsurgical procedure that is done in the office without any downtime. Botox is also useful for modifying the muscles around the mouth. Using small doses, the muscles that cause aging changes can be weakened. Botox also helps to relieve Migraine Headaches for some people. Botox can also be used to control excess sweating under the arms with excellent results.